An Alzheimer’s diagnosis often brings uncertainty for the entire family. Questions arise about health, safety, comfort, and independence, and many family members question whether it is even possible for their loved one to remain at home. Home Care Assistance of Guelph, ON, supports seniors and their family members during this difficult time with compassionate, reliable, and professional care. Our exceptional Alzheimer’s care empowers seniors with Alzheimer’s to remain comfortably at home, surrounded by the people and things they love the most. 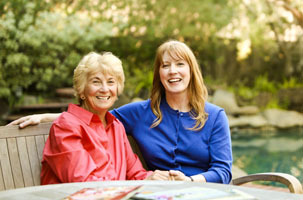 Home Care Assistance is an industry leader in Alzheimer’s care. Our hiring process is rigorous to ensure our clients receive the highest level of care and remain safe and comfortable in their homes. In addition to hiring only the most qualified caregivers, we provide ongoing training to keep our employees abreast of the latest innovations in Alzheimer’s care, senior care, and home care in general. Our hiring and training standards allow family caregivers to comfortably attend to their own needs while finding reassurance in the fact that their loved ones are receiving the finest care available. The progression of Alzheimer’s disease rarely follows a specific path or timeline. To accommodate changing care needs while maintaining as consistent a routine as possible, Home Care Assistance provides personalized care that can easily be adapted to any schedule as often as necessary. 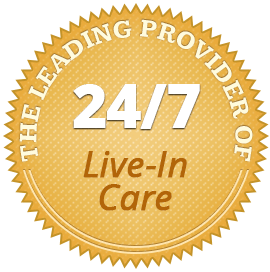 Our professional caregivers are available for a few hours a day, any day of the week, weekends, holidays and even for overnight shifts or 24-hour care. Care Managers also remain on call 24 hours a day, 7 days a week to assist clients in the event of an emergency. The safety and comfort of our clients is of paramount importance to us, and our flexible scheduling plans are one way of ensuring that their needs are always met. Whether your loved one is in the earliest stages of Alzheimer’s or has progressed through the course of the disease, Home Care Assistance is here to help. Contact our knowledgeable and compassionate Care Managers at (519) 954-2111 to receive more information about our services or schedule your complimentary in-home evaluation.